Music in the ’80s was badass. We had the genesis of thrash metal with Metallica, Slayer and Pantera coming to the fore. Or if you’re into that sort of thing, we had Depeche Mode, The Smiths and Limahl (out of Kajagoogoo). Then we have our personal favourite, the roots laid down by hip-hop’s first wave. 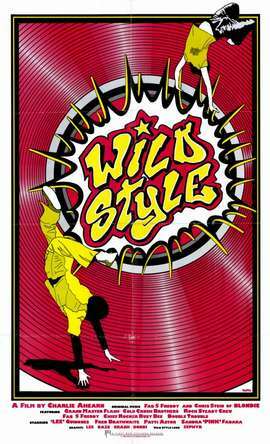 The equivalent of today’s inexplicably popular Step-Up series were the likes of Breakin’ (aka Breakdance), Krush Groove and Wild Style, the latter of which we bring to you. The plot is largely tosh, concerning the relationship between two graffiti artists blah blah. We’re here for the breakdancing, freestyle emceeing and an immense scratch mix by Grandmaster Flash. Enjoy!